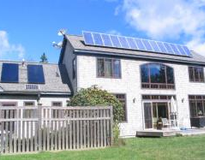 We have unique features that some people are looking for when they stay at a bed & breakfast. 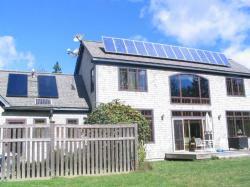 Very satisfied with the installer Vermont Solar Engineering. Google Maps is incorrect! The EastSide Rd. in Hancock is 10 miles east of Ellsworth Maine, on the right, just before the Hancock/Sullivan bridge. Our mailbox is 1.5 miles down the EastSide Rd on the lefthand side. Our house is .5 miles down our driveway to the shore.